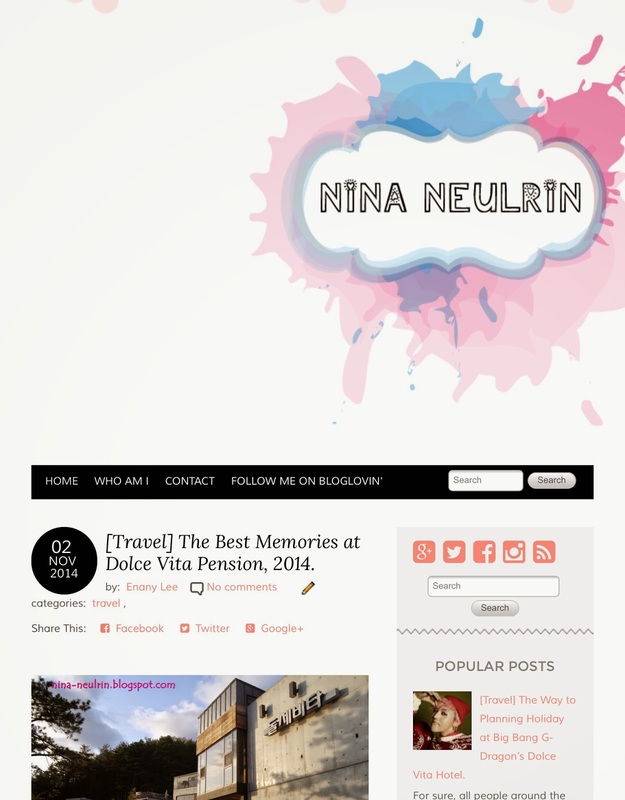 Fresh in 2015, my first project is beginning; which is changing my wall’s layout design of Nina Neulrin blog. Now, my blog have new wall layout design. This project was collaborating with my friend, Iffa K.
I would like to say big THANK YOU to my lovely friend – Iffa K., who is designed this blog layout for me. 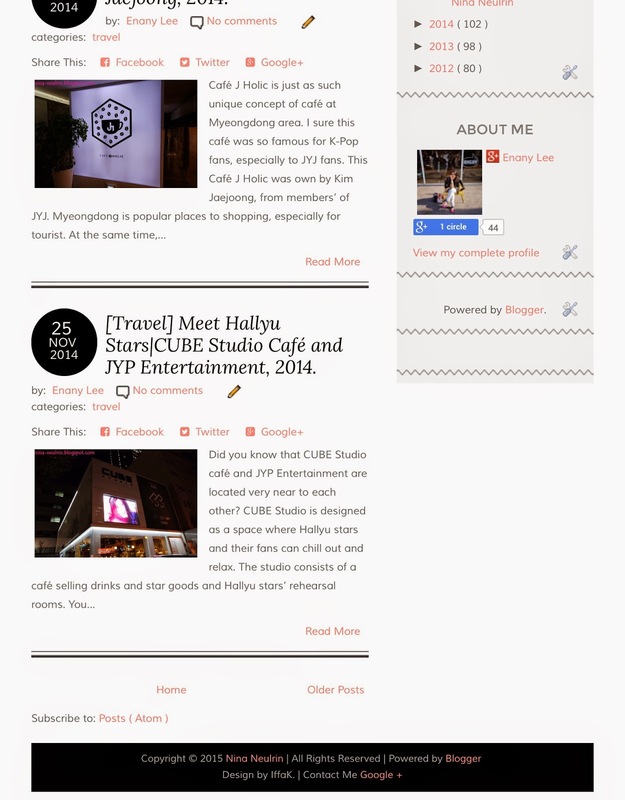 It’s also her first project to make the blog design layout. It’s was so wonderful and gorgeous. I LOVE this design. She takes almost 1 month effort to design this blog layout for me, which is based on my personality and our discussion. The inspiration of this new blog designed is watercolors’ concept with sweet touch on major soft colors. The overall of this blog design layout is AWESOME and one of a kind design!! I never expected that, she can do like this; totally beyond my imagination. How is your new start in 2015?